1. The Oakland Police Department has achieved its highest-ever level of compliance with federally mandated reforms, the Trib$ reports, citing a new report from Court Monitor Robert Warshaw, who also is the compliance director of the department. Warshaw credited Police Chief Sean Whent for the department’s progress, noting that OPD is in compliance with all but six of 51 of the mandated reforms stemming from the infamous Riders scandal. Warshaw, however, cautioned that OPD still has work to do, and expressed concern about a recent department report that showed Oakland police officers are still disproportionately targeting African Americans in car stops and searches. 2. 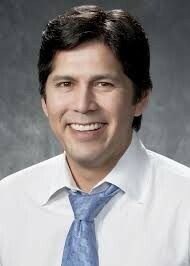 Southern California lawmakers will control both houses of the state legislature later this year as Los Angeles Democratic Senator Kevin de León was elected president pro tem of the Senate yesterday, the LA Times$ reports. Earlier, Democrat Toni Atkins of San Diego became the state Assembly speaker. De León will take over for Sacramento Democrat Darrell Steinberg. 3. The state Senate reversed course and passed legislation that bans politicians from taking campaign donations during two one-month periods a year — before the legislature approves the budget in June and before the legislative session ends in September, the SacBee$ reports. The Senate had previously killed the bill when legislators complained that the new rules only applied to incumbents. State Senator Alex Padilla then agreed to amend the bill to apply to all legislative candidates. 4. Lawmakers and water agencies have reached a compromise deal on a $10.5 billion water bond measure for the November ballot, Capitol Weekly reports (via Rough & Tumble). However, it’s unclear whether Governor Jerry Brown will sign off on the pact. 5. And the state legislature is moving forward with a bill that would make it easier to fire public school teachers accused of serious misconduct, the LA Times$ reports. However, it’s not clear how the bill, authored by East Bay Assemblymember Joan Buchanan, will square with a recent court ruling that invalidated the state’s teacher tenure laws.